I don’t know about you but I know I’m terrible with my haircare without my stylist! As much as I love it (and I DO!!) I’m forever braiding, cutting, weaving and colouring my hair. This naturally means I’m pretty terrible when it comes to the TLC side of it! 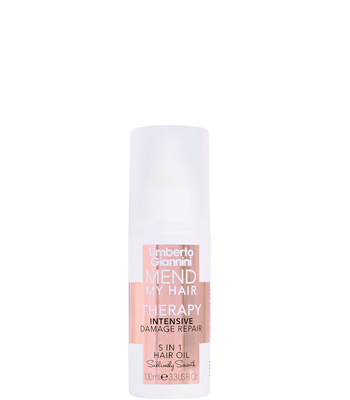 I got introduced to the nifty ‘Mend My Hair’ – 5 in 1 Hair Oil by Umberto Giannini and I loves it. It’s light enough to use day-to-day, smells beautiful and does what it says on the tin bottle. It’s been a little over a month and my hair is consistently shiny, soft and less frizz-tastic after gym and dance sessions!